Why Buy a Home at Every Duty Station? As I look around at our blah “industrial white” walls here in base housing, I can see the logic in her response, although I think the sense of freedom she enjoys by owning her own space goes far beyond paint colors and decor. It seems to me that an investment in real estate is like having a slice of the American dream. When a person works hard to save up their money, their reward is purchasing a property to call their own. I must admit, having a tangible asset and an address of our own does seem appealing. Maybe this concept is why some military families choose to buy a home at every duty station? If that description fits you, keep these points in mind. Even if you're still building savings or credit, eligible active or veteran service members or surviving spouses can apply for financing with a VA-backed home loan. 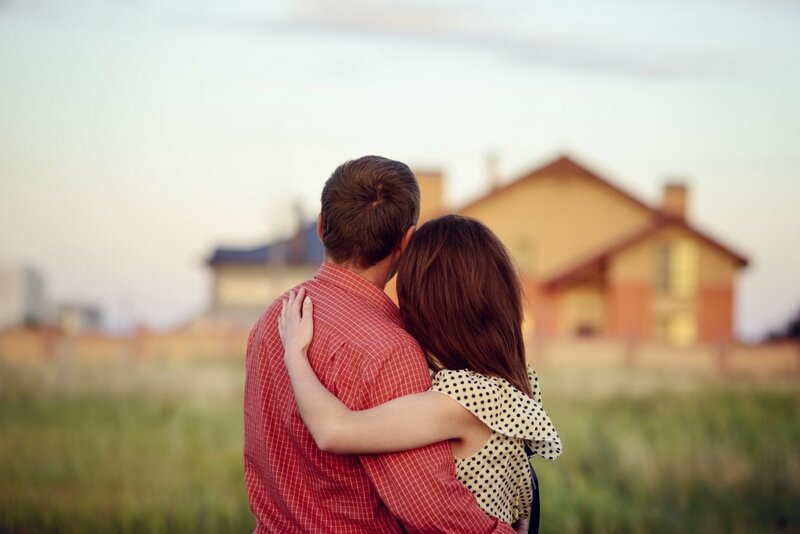 The favorable terms of the low risk VA Loan can help make the dream of homeownership a reality. Also, with frequent military moves, it’s good to know that a VA Loan can be reused. For example, if a PCS comes up, having the option of “second tier” loan entitlement allows a military homeowner to keep their current house and finance another place at their upcoming duty station, although balancing more than one home on a military budget could be a challenge, I'm sure! Thankfully, there are financing options available to help ease any concerns. 2) Buy it now; rent it later. Why pay a landlord’s mortgage when you could pay into your own home? As renters, we’ve been asked this question by those that typically purchase a house at each destination. Depending on the housing market where we're stationed, a monthly mortgage payment can amount to less than our monthly rent. For example, a quick click on a MilitaryByOwner listing shows a 3-bedroom, 2-bathroom, 1,850-square-foot residence in a suburb near Wright-Patterson Air Force Base, Ohio. Using the handy BAH & Mortgage Calculator tab provided on the listing, I can estimate the payment of a 30-year loan. Adding in principal, taxes, interest, and insurance, the monthly mortgage payment for the $165,000 property is roughly around $1,045. Meanwhile, the going rate for rent is $1,725. In this particular market, buying a home might make more sense than signing a lease. When anticipating a PCS, you may want to buy real estate rather than rent for your family's needs. You may have a larger than normal family needing extra living space, require accessible living options, or perhaps even more acreage for pets and animals--the reasons are endless. With this in mind, as well as helpful tax deductions on mortgage interest, buying a home at each duty station could be the best route for your military family. For further home buying information, as well as property management and home selling tips, spend some time browsing on MilitaryByOwner for answers to all your questions!